Some neighbourhoods pride themselves on being so safe, no one ever locks their doors. But when you’ve got thousands, maybe even millions of dollars of inventory and equipment at stake, you can’t afford to leave your doors unlocked. This is why firms such as Imperial Security include lock/unlock services as part of a comprehensive security package. While 24-hour foot patrols can keep your premises safe around the clock, making sure the doors are locked is an important part of keeping the property secure against unlawful access. Typically, the first person to enter the premises or the last person to leave is charged with locking up. But people are busy, and schedules aren’t always neat and tidy. With a wealth of distractions possible as staff run out the door, it’s important to have a fool-proof solution. Part of the answer can be having security staff check to make sure that alarms have been set. But an even better answer is delegating the responsibility to the security firm, which will include it as part of its assignment. 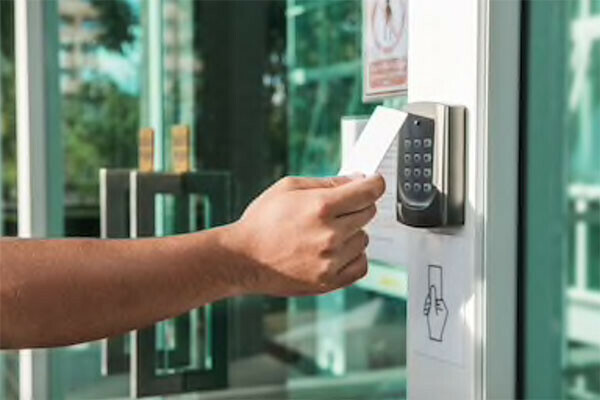 The benefit of having a trained security guard handle the lock-up process each night, and the opening of the premises in the morning, is better control over access and oversight of any night-time access staff may require. This benefits not only the building owner, but also ensures protection for staff who may visit the building alone. Imperial Security not only ensures they’re never working unattended, but staff don’t have to worry about the risk of assault from intruders. Imperial Security’s guards have them covered. Since 1993, Imperial Security has developed state-of-the-art reporting techniques that ensure accurate records of who accesses your building, and when. The time of lock-up and unlocking is recorded, and reports filed as part of guards’ regular duties. This ensures an accurate and verifiable record of access times and dates, which is also important should a security incident occur. Imperial Security’s guards will know when the premises were open, occupied and can pinpoint vulnerabilities. The ultimate result is better facilities management, and more secure premises for everyone.